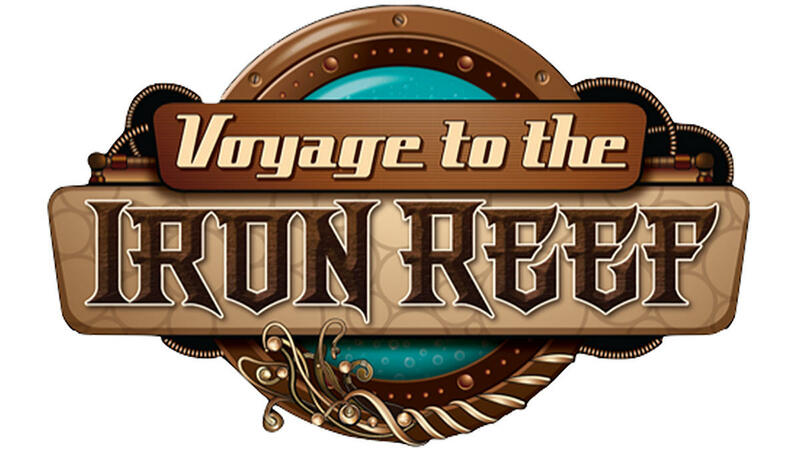 Voyage to the Iron Reef is the centerpiece of an exciting 2015 at Knott’s Berry Farm. For project updates and park information, visit knotts.com or download the Knott’s Berry Farm app for your smart phone. 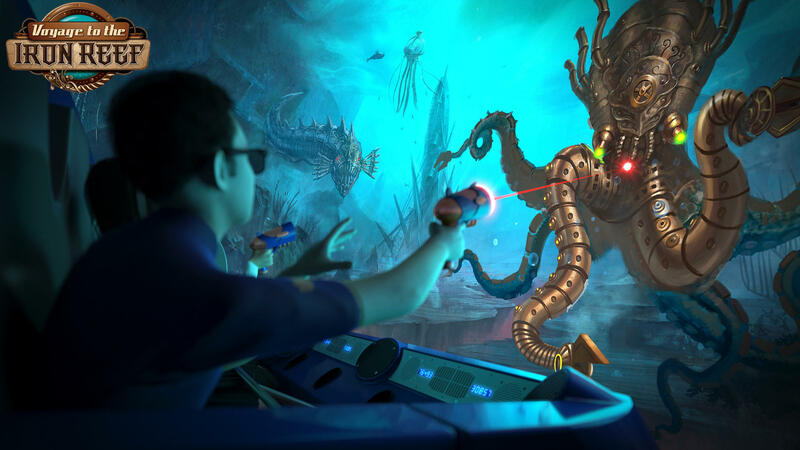 Join the conversation about the new attraction using the hashtag #KnottsIronReef on the Knott’s Facebook, Instagram, and Twitter page. 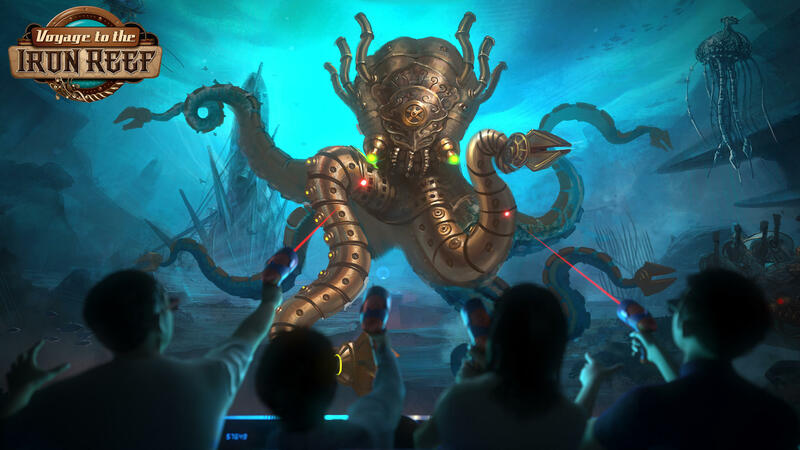 This ride will use the same technology in Triotech’s other creation, Wonder Mountain’s Guardian in Canada’s Wonderland. The highlighted area is the space that will be used in the new dark ride. Here is a timeline showing all of the attractions that have been housed in the show building over the years. 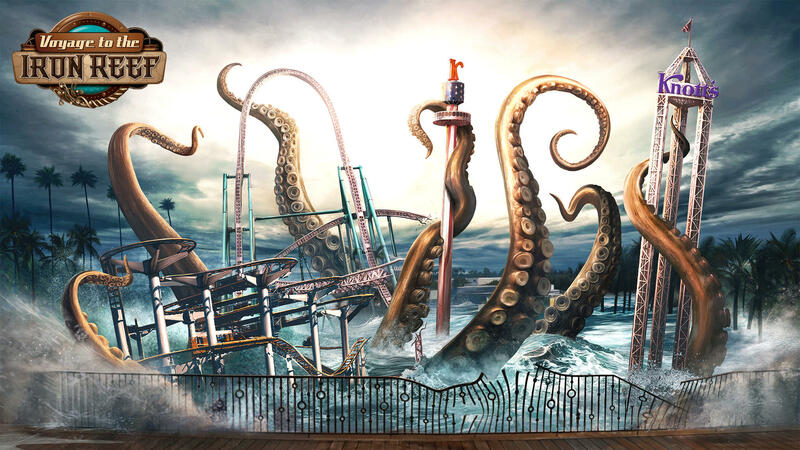 I’m very excited to see how Iron Reef will turn and can’t wait to go for a ride this spring.